This is the time when we are all excited to get out into our yard and make some new space to plant new gardens, create new beds or perhaps you are just looking to re-vamp some old ones, but before you do consider the soil. Soil is one of the most important elements of the garden, equally important in fact as the plant selection and light conditions. All too many consultations have been spent trying to help people understand that the cheap sandy loam they brought in was no bargain at all. Ultimately, it will be a very expensive mistake. Expensive because the plants and water issues you have created will never warrant the $$ you saved on cheap dirt. Us Master Gardeners refer to Sandy loams as “Red Death” if that’s a hint. I guess the best way to make this clear and simple is to refer to the difference between dirt, and soil. Dirt is anything that breaks down from rocks and creates a discolored, off white, sandy dirt with little to no nutrients like your loams and other such sandy no colored soils. 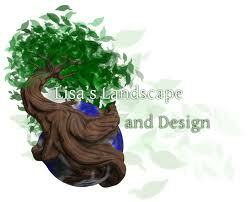 “Soil” is a dark colored, nutrient rich, organic matter filled substance that is light and airy, not heavy and dense. A good soil must consist of a substantial amount of organic matter and air to be a strong foundation for your plants. In our hard, clay, alkaline soil, some sand is necessary to break up the clay, but in small amounts. In fact, for bad drainage large (less than dime sized) pebbled granite can be mixed into your soil for the same purpose and allow better drainage. 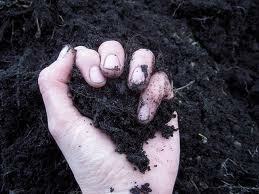 If you can barely gouge a handful of soil out of your bed, it is too hard and compacted. So if you are adding consistent organic matter and tilling it in, you should be noticing that each year your soil is easier to work with, it holds water better without standing for long periods of time and your plants will be more successful. By using a pitch fork near your existing plants to create holes vertically in the soil, you can get new organics in their space as well. Never use chemical fertilizers or chemical weed killers in your space. Chemicals not only kill the planet, destroy our aquifers and air, but they kill your soil too. Adding compost then adding chemicals is akin to exercising daily then smoking a pack of ciggs and having 3 fast food meals a day. There is no real benefit and the later is more harmful than the good you are doing. So in the Spring when you are adding mulch for color, ( by the way steer clear of colored mulch on veggies and herbs, they are those colors because of chemicals) be sure to add your bags of compost first. Organic compost can be found at most stores and nurseries and can be added as early as February to most plants. I add about an inch all over my existing beds, till it in with a pitch fork or a garden weasel (best tool ever!!) and plants are fertilized and ready for Spring. In March or April you can begin to use your Seaweed, liquid compost, or fish emulsion on a regular basis (or even monthly like I do) and by the time the Easter Bunny comes you are up to its ears in flowers! !